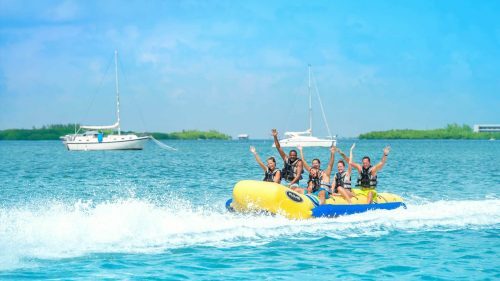 Get ready to experience the action-packed, adrenaline-pumping watersports thrill of a lifetime on our all-day Ultimate Adventure. 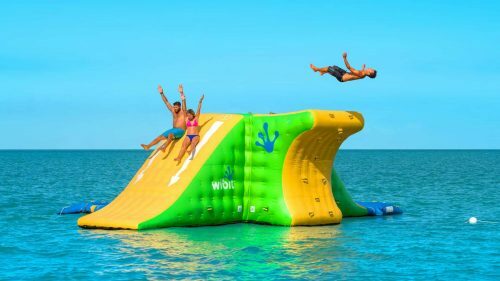 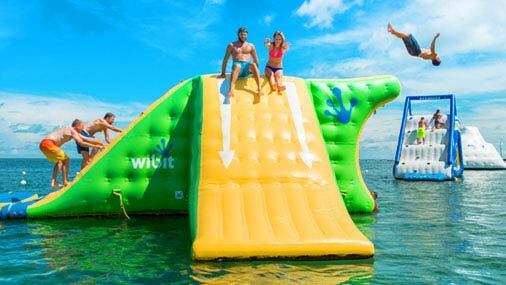 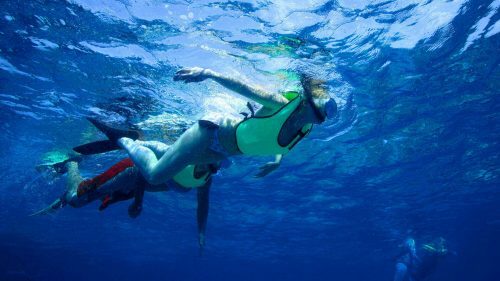 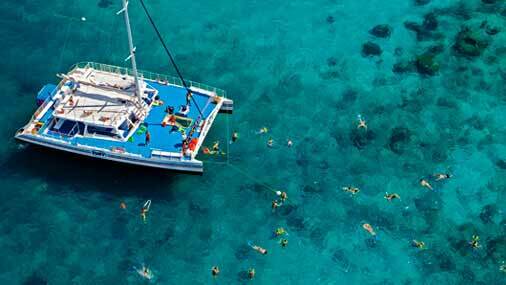 From snorkeling the reef to gliding down our water park slide, this popular adventure is the perfect excursion for those wishing to sample lots of watersports activities all in one day. With several combinations to choose from, there’s something for everyone to enjoy on Fury’s Sunset Combo Trip packages. 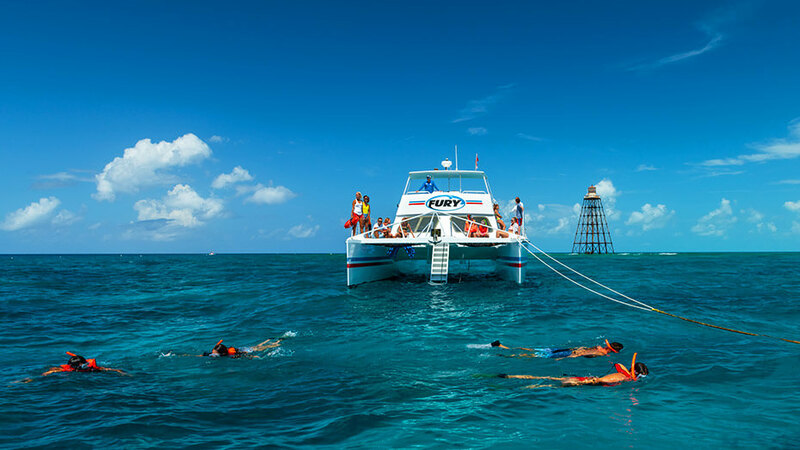 Experience the peaceful, pristine Florida Keys backcountry, snorkel the tropical reef, witness groups of playful dolphins or enjoy a captivating glass-bottom eco-tour before settling in for the main event – the world famous Key West sunset. 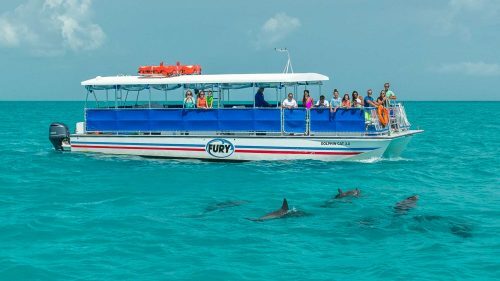 You don’t have to get up early to enjoy North America’s only living coral reef on Fury’s famous afternoon snorkeling trip. 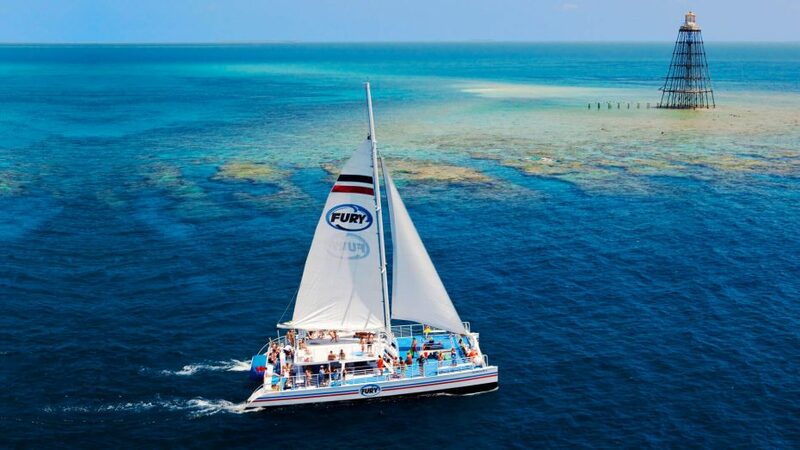 Experience the warm afternoon sun as our spacious Fury catamaran takes you on a journey to North America’s only living coral reef. 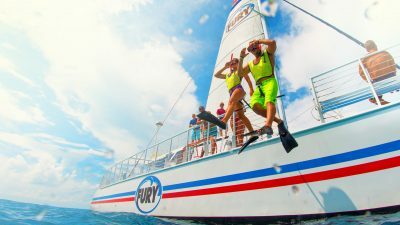 With the help of the Fury crew, you will embark on an undersea snorkeling adventure that includes coral reefs and tropical fish. This Caribbean-themed trip offers two bucket list items that Key West is famous for - our tropical coral reef and amazing sunsets. 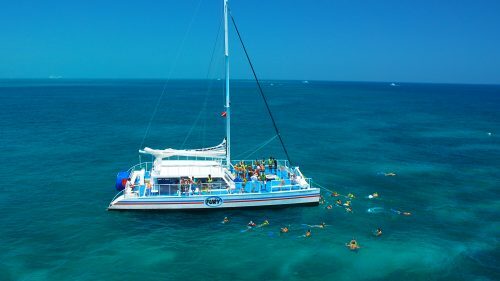 Rum punch and a vibrant tropical island reef habitat await adventurers on this thrilling Fury Key West snorkel and sunset sail. 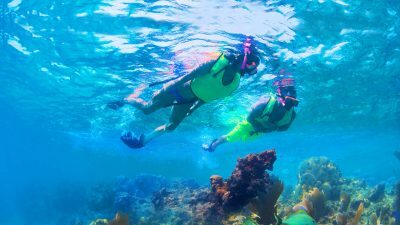 If you want twice the snorkeling, then Double Dip’s the trip for you. 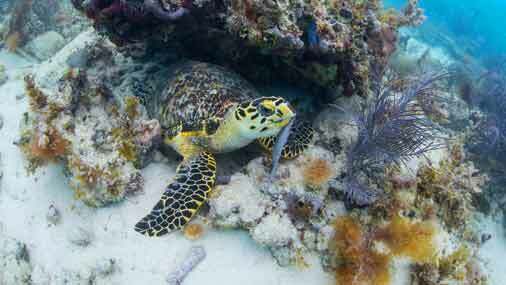 Enjoy the underwater marvels of two tropical reef locations. 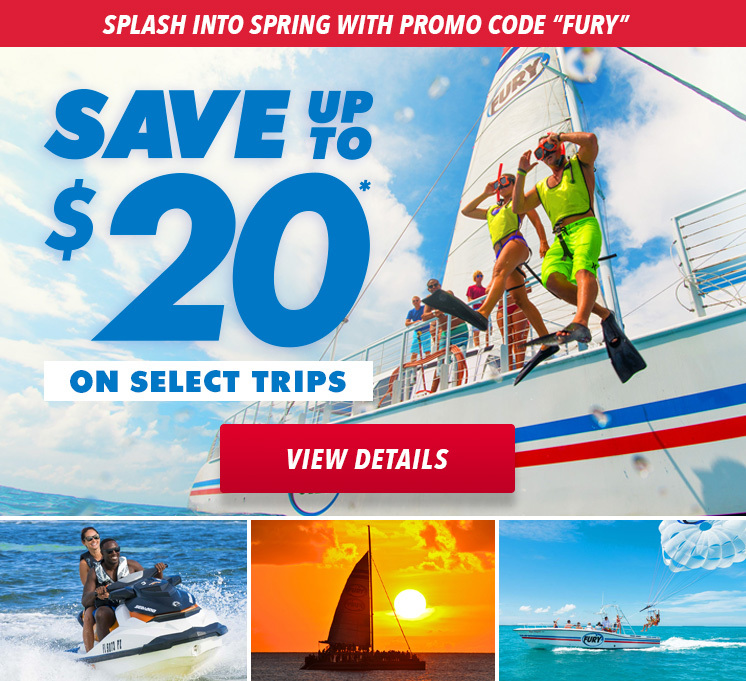 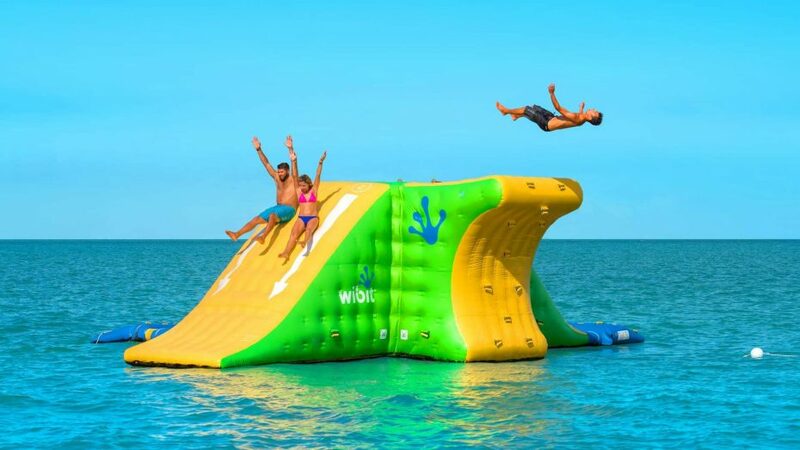 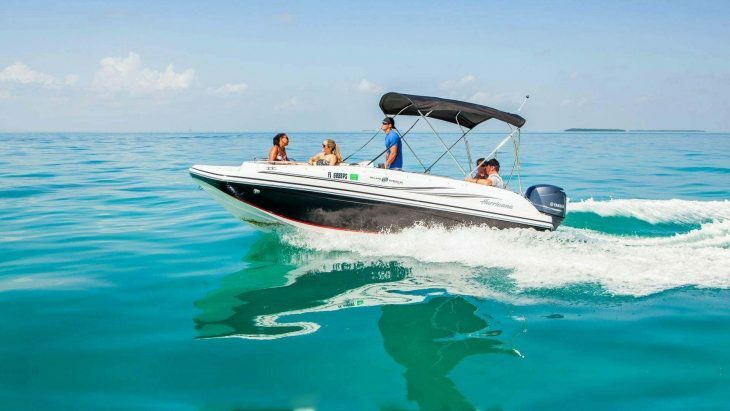 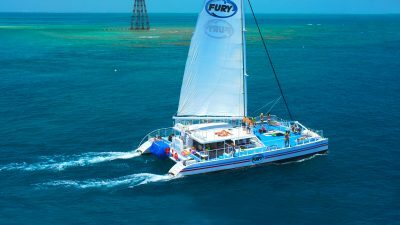 Built for speed and comfort, Fury’s high-speed state-of-the-art catamaran means less time traveling so that you have the ability to explore double the Key West reef locations in one day. 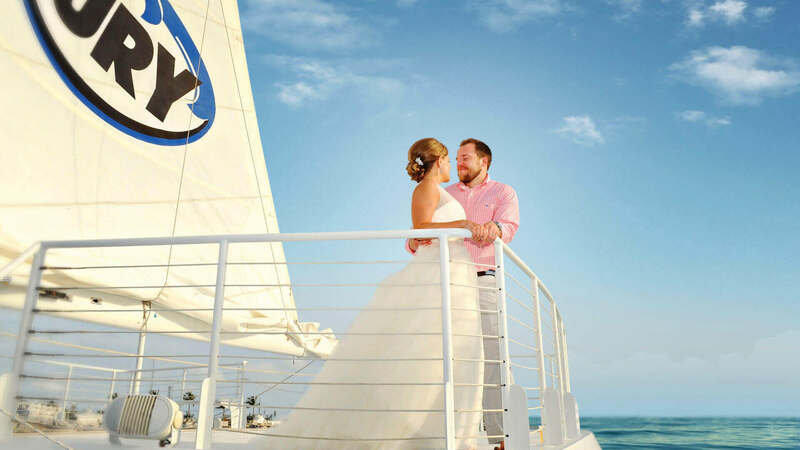 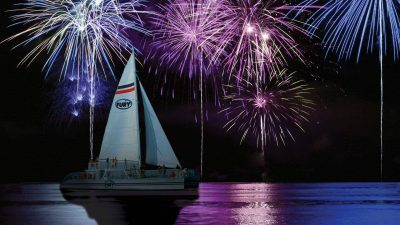 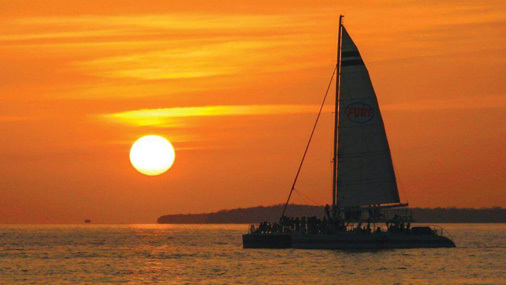 Fury’s Champagne Sunset Cruise aboard our spacious 45ft power catamaran offers guests a tranquil ocean setting in which to experience Key West’s world famous sunset. 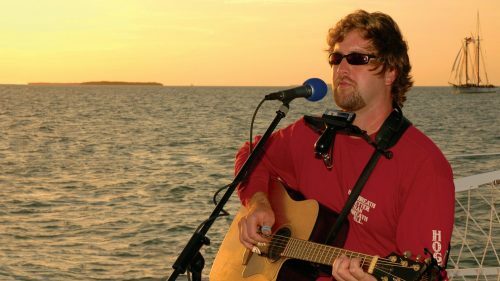 Come sail along on an ocean breeze and enjoy some of Key West’s best musicians performing live to the backdrop of the setting sun. 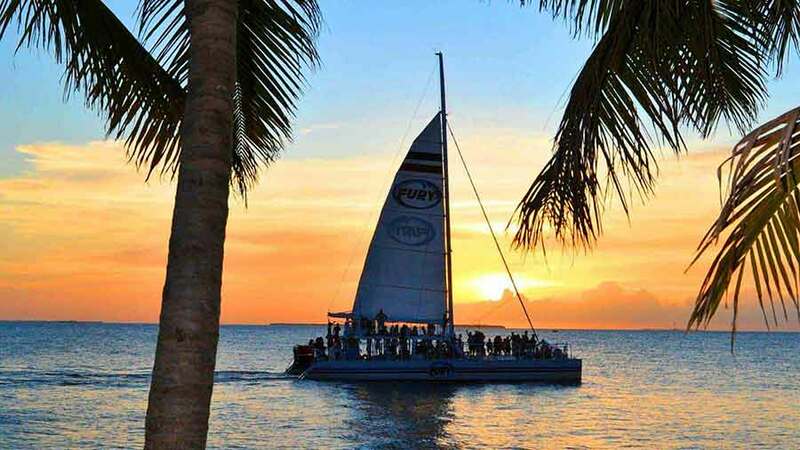 You’ll eat, drink and party the night away on Key West’s original live music sunset sail. 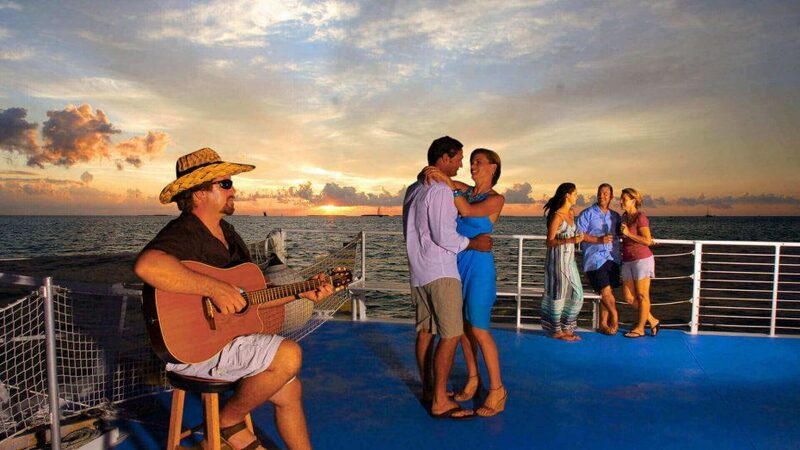 So, grab someone’s hand and let the music move you as we chase down the world famous Key West sunset. 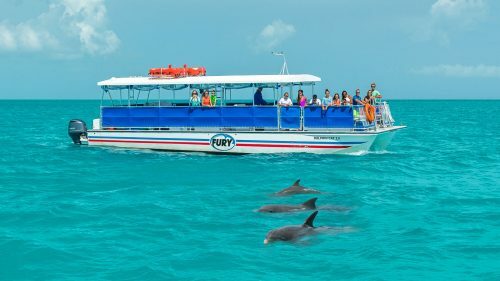 Stay cool and dry as you view a stunning array of tropical marine life in air-conditioned comfort aboard Fury’s Glass Bottom Boat. 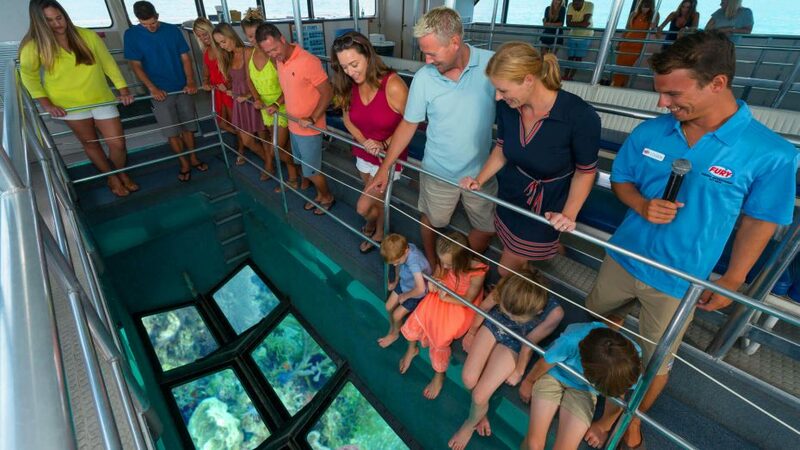 Through our windows to the sea, guests can witness the wonder of North America’s only living coral reef. 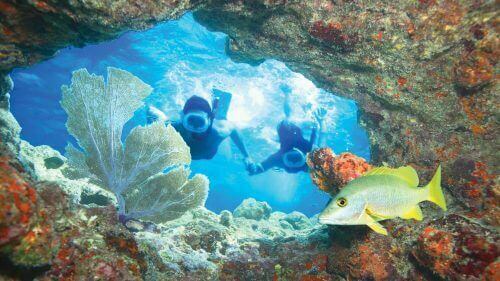 You may even observe sea turtles, rays and fish of all kinds gliding through the crystal waters they call home. 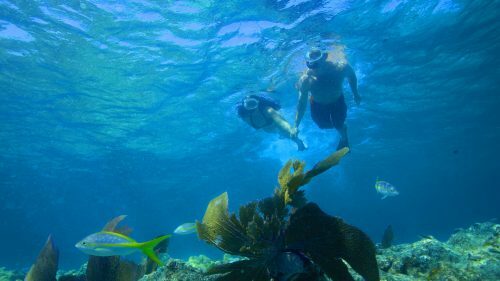 Discover a different side of Key West as you explore a secluded paradise in the Florida Keys backcountry on our Island Adventure. 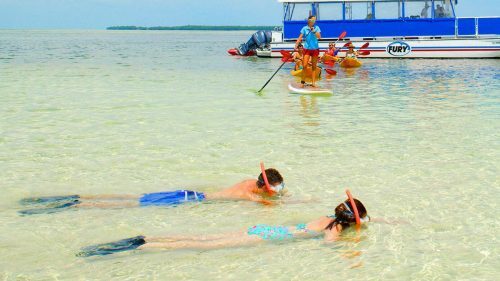 Tucked away between mangrove islands, shallow sandbars and clear, calm turquoise waters, we’ll transport you to a remote sanctuary normally reserved for Key West locals. Parasail high above the sparkling waters of Key West while enjoying breathtaking panoramic views of this island paradise. 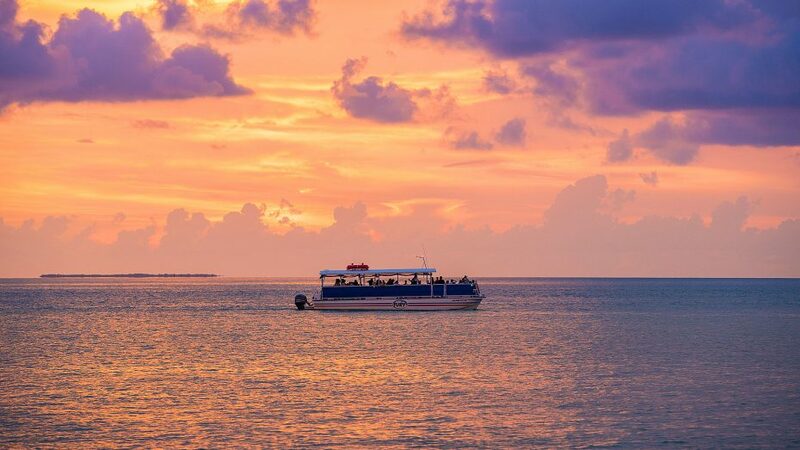 From your secure spot in the sky, you’ll float along on a warm, tropical ocean breeze. 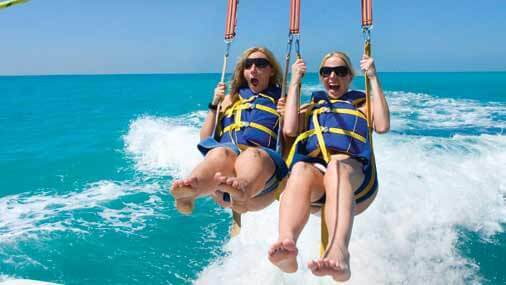 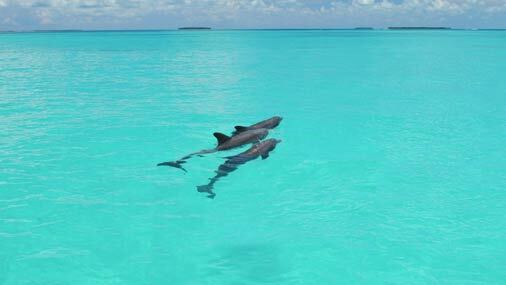 While parasailing, you may even catch a glimpse of dolphins playing in the surf. 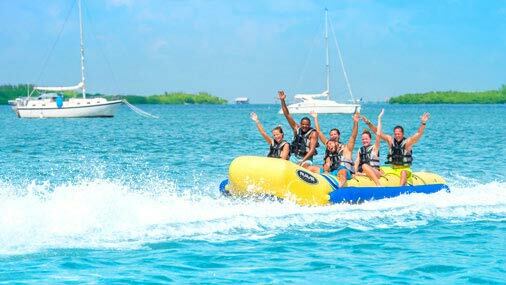 An exhilarating yet safe trip for the adventurer in all of us! 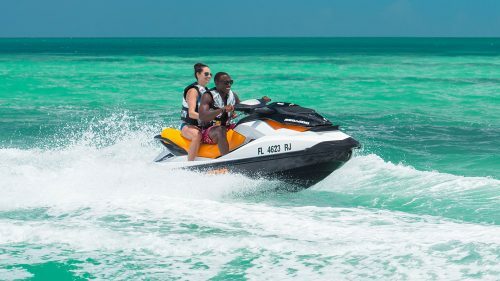 Full speed ahead! 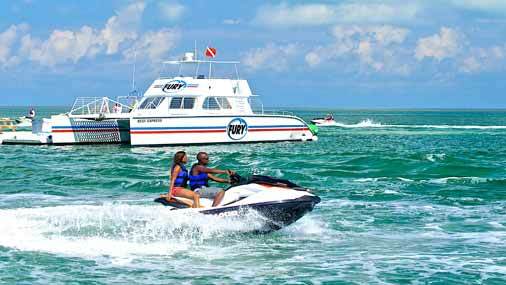 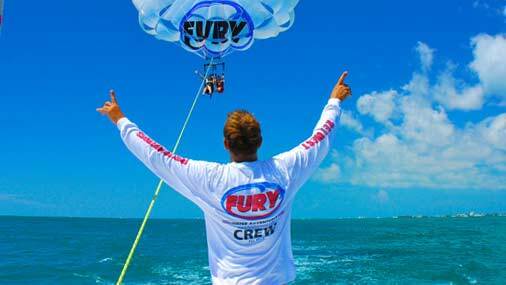 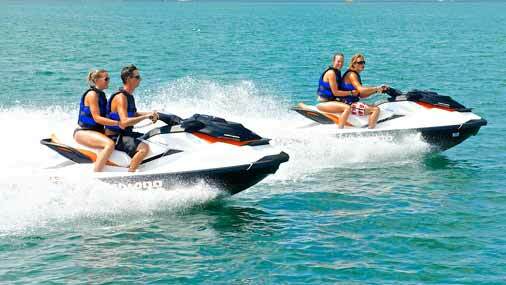 Fury’s Jet Ski tour is a Key West must-do for the high energy thrill-seekers in your group. Feel the wind in your hair explore the island aboard one of our top-of-the-line Sea Doo personal watercrafts. 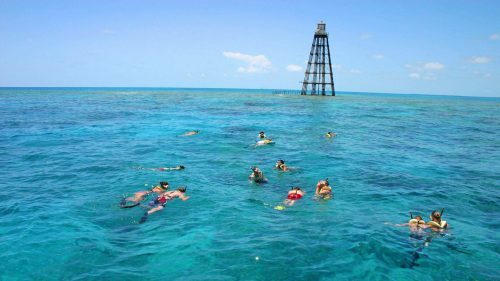 View varying points of interest from the sea while enjoying this scenic 28-mile trek through the waters of Key West. 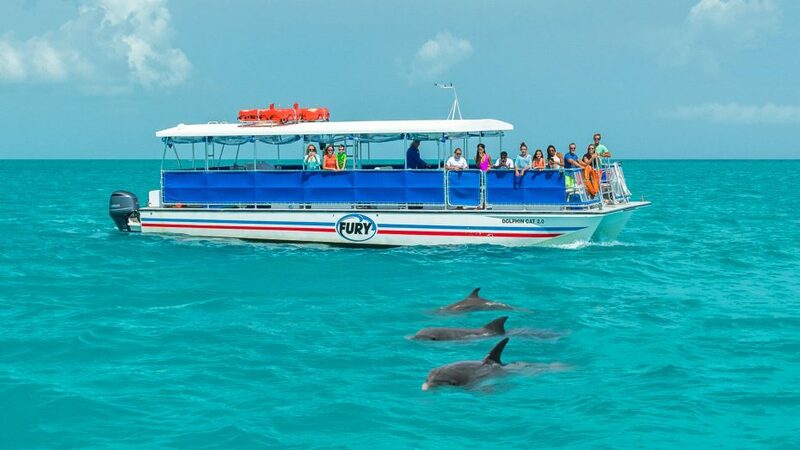 You may even spot dolphins, sea turtles or tropical birds along the way! 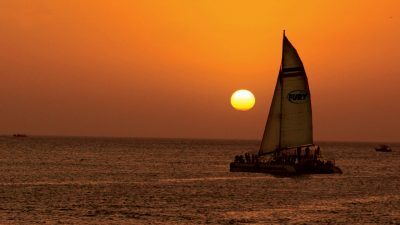 Chart your own course! 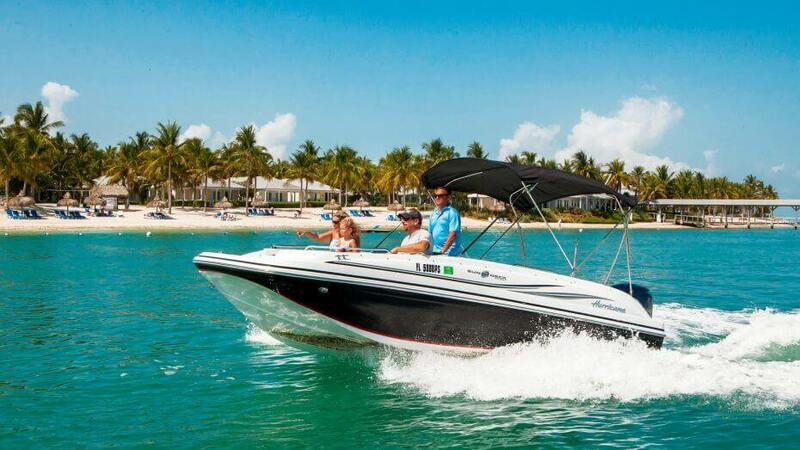 Explore the waters of Key West at your own pace with a boat rental from Fury. 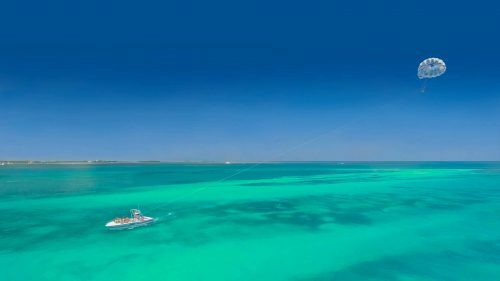 Whether you want to spend the day sunning and splashing on a natural sand bar or enjoy a picnic on one of our remote islands, you can make your own way. 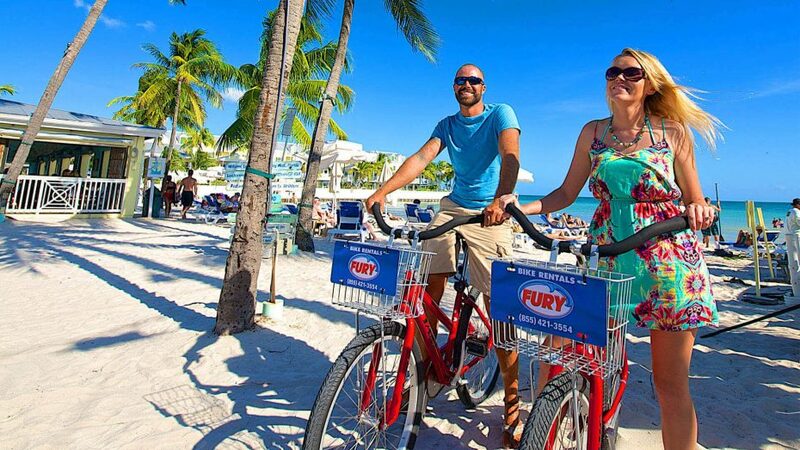 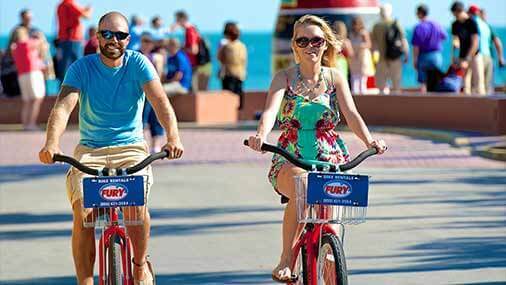 Kick your vacation into two-wheel drive as you pedal your way through paradise on a rental bike from Fury. 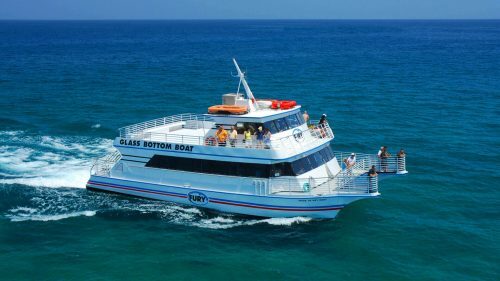 Explore Key West’s historic landmarks, unique architecture and picturesque ocean vistas while cruising through town using the locals’ preferred mode of transportation.